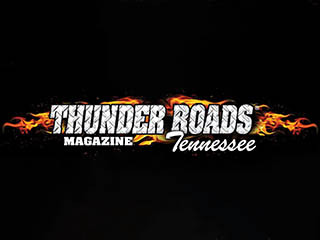 Clarksville, Tn — Let me begin with a big “thank you” to each of you who have responded to my last couple of articles relating to Motorcycle Clubs. I feel as though the stories accomplished exactly what I set out to accomplish and that was to learn more about this culture I’m riding in and to be able to honor and respect those who ride a different path than I.
I’m honored by the fact that so many of you follow this journey I’m on, but I also respect those who’ve been doing this longer than me and have way more experience than I. I regret that I haven’t been a biker for as long as many of you, but now that I’m on this journey, I’m going to soak in as much as I can and enjoy it to the fullest. Let me reiterate that from the very beginning, I’ve made it clear that I am NO expert. I don’t proclaim to be and I don’t think I come off as such. I wanted to document what I was doing and since I have a digital network, a motorcycle blog was only natural, and Dodging the Roadkill was born. I’ve been able to talk with and visit with several members of various local MC’s this week after my stories were posted. They have all been very helpful to me in understanding how the clubs operate. I had questions, and they had answers. I feel it’s beneficial to the MC’s to have a forum where the public can better understand what they’re all about. Like me, most people don’t understand what most clubs are all about. The 99% keep to themselves, have fundraisers, do community projects and just enjoy themselves and their club. The bottom line is, their business, is none of your business. I got called a couple of names and was criticized for speaking on a topic that I knew nothing about. I respect that, and appreciate the passion they have for their lifestyle and their right to defend it. To be honest, I knew just enough to be dangerous, but I knew that, and as expected, you guys helped me out. I got over being called names a long time ago, and it doesn’t bother me. I wanted to know more so that I could properly respect and honor their code and their way of life. I accomplished that and I’m grateful. The MC’s I was able to visit with and talk to were very helpful, respectful and understanding of the fact that I just didn’t know some things. I look forward to accepting their invitation to visit their clubhouse and meet their membership. They’re not who you think they are and most of them do a lot of good things in their community that go unrecognized and appreciated and to be honest, they don’t crave the publicity. I invite anyone who doesn’t know me to just read about my journey and take the opportunity to get to know me and you’ll see that I’m a biker just like you. I have passion and energy for this culture. It literally saved my life and I stand with you and your right to enjoy this lifestyle as you see fit. I’m at the stage of my life where I understand if you quit seeking knowledge, you become stagnant. To grow as a person, I want to experience things I don’t understand. I want to appreciate different opinions and points of view. I’m not going to stop doing that. I’m a better biker today because of you. Thank you! I found this to be an incredible resource here.